Combine chestnuts, garlic, lemon juice, tahini, cumin, oil, hot water and salt in a food processor. Process until almost smooth. 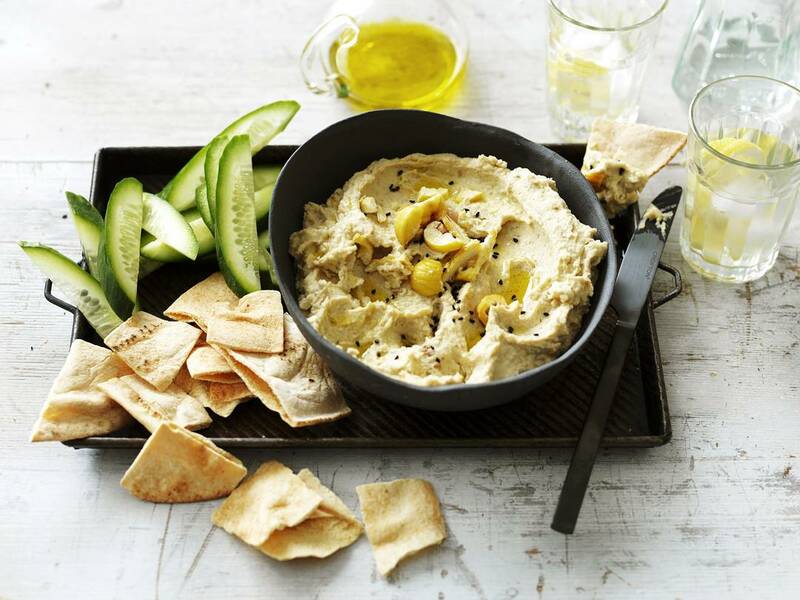 To serve, spoon into a serving bowl, drizzle with a little extra virgin olive oil, sprinkle with pepper and serve with lavosh or grilled flatbread and cucumber slices. *Add extra hot water for a smoother and thinner consistency.